KLAF, the Bayou City Broadcasting owned NBC affiliate in Lafayette, Louisiana, along with its sister station, has debuted a refreshed set and new brand. Correction: The original version of this post misidentified the signal power of KADN and how this relates to FCC rules. The post has been updated with correct information. The set, which is also used for newscasts for local Fox affiliate KADN, has had much of its printed graphical backgrounds replaced with backlit panels, including an array situated behind the old anchor desk that features a single video panel. 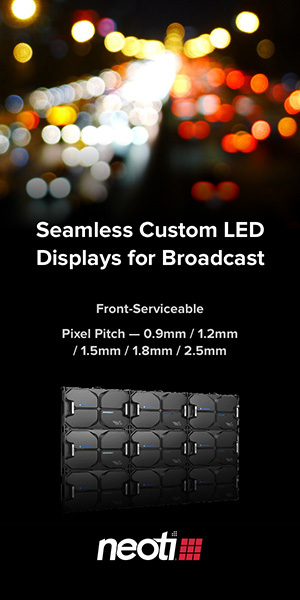 A video wall has also been added camera left. In addition, the faux stonework on the set has been replaced with flat panels along with other cosmetic tweaks. 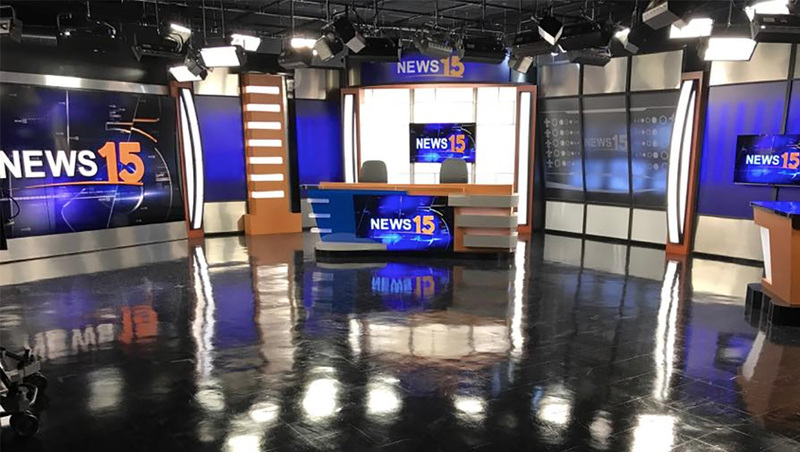 In addition to the new set, the station has dropped its “Acadiana’s KLAF News” branding in favor of the simplified “News 15” name. Acadiana is a local name for the region the station serves. The new look also includes a new logo — a friendly “15” with a slightly curved stroke under it that gets wider as it goes from left to right. The station has also shed its previous Nexstar graphics package in favor of a darker, richer look. The “News 15” name has a bit of an unusual source — even though KLAF, which is a low power station, airs over Channel 46, it is also simulcast on the digital subchannel 15.2 of full power KADN. The new “News 15” branding allows the station to emphasize that connection. KLAF was sold earlier this year to Bayou City Broadcasting from Nexstar Broadcasting Group. Nexstar, which acquired the market’s CBS affiliate KLFY through its merger with Media General, opted to sell KLAF and KADN to avoid conflict with FCC ownership rules.